A Two Judge Bench of Supreme Court has just stayed the Uttarakhand High Court Order quashing President's Rule in the State. The Court has ordered that Centre shall not revoke Presidential proclamation till April 26th. The Petition was heard by the Bench of Justices Dipak Misra and S.K. Singh. It is argued that the High Court has not yet signed the Judgment. The Court has directs Uttarakhand High Court to provide the judgement to all parties by April 26 and same be filed before this court on that day. "Having heard Mr. Mukul Rohatgi, learned Attorney General for the Union of India, Mr. Harish N. Salve, learned senior counsel for the Union of India in connected special leave petitions, Dr. Abhishek Manu Singhvi, learned senior counsel for the respondent No.1 and Mr. Kapil Sibal, learned senior counsel for the Speaker of the Legislative Assembly, Uttarakhand, it is directed that the judgment of the High Court shall remain in abeyance till 27th April, 2016. That apart, as undertaken by Mr. Mukul Rohatgi, learned Attorney General, the Union of India shall not revoke the Presidential Proclamation till the next date of hearing"; states the order. 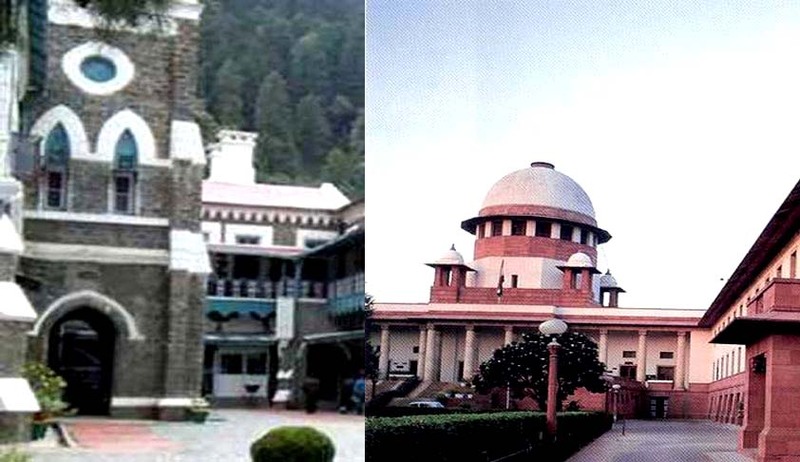 The Centre today moved the Supreme Court against the Uttarakhand High Court judgment quashing the declaration of President’s Rule in the state. Attorney General Mukul Rohatgi made an urgent mentioning of the petition before a bench of Justices Dipak Misra and S.K. Singh which sat in court number no: 1 in place of the Chief Justice-headed bench. Chief Justice is absent from court as he is attending the three-day Chief Justices’ Conference which began today.